Tourism officials in the Caribbean are being told that in order to fully benefit from the growing outbound Chinese tourism market, which will be more than 200 million in a few years, they need to undertake initiatives which directly target that market. Addressing a session on the ‘Who are the New Explorers,’ at the 2017 State of the Tourism Industry Conference (SOTIC) which is taking place in Grenada from 10-13 October, Chris Spring of the Colorado based China Ni Hao Marketing Company said that chief among the recommendations, is for websites and other marketing activities to be the Chinese language. “If there is nothing about you on the internet you will not be known,” said Spring who is recommending that all tourism promotional agencies, including the Caribbean Tourism Organisation (CTO) install Chinese language converters on their websites. He said that presently little or nothing is known about the Caribbean to the vast majority of Chinese. “There is very little information on the websites in China on the Caribbean,” he said when asked to share his opinion on the reason why more Chinese are not choosing the Caribbean as their vacation spot. He is also recommending that the various sectors within the industry should ensure that they can communicate with Chinese in their own language, and at the same conduct business efficiently with the use of technology. “The important reason for them to visit, the thing that will make their trip attractive is if there is somebody who can show them around and who can do that in Chinese,” he said while confirming that more and more Chinese tourists are booking cruises that takes them to the Northern Caribbean and Mexico. 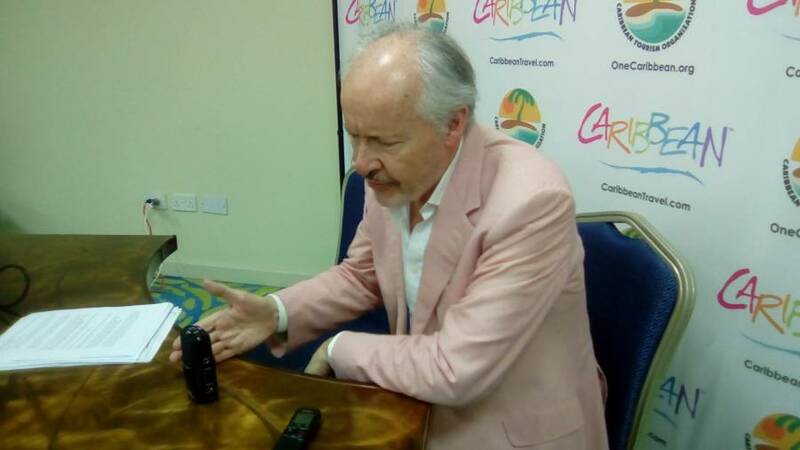 “And more and more of them will want to come back…cruising was the thing that develop United States tourism in the Caribbean, and so the same thing is what we going to see happen with the Chinese,” he said. Spring said that a significant number of Chinese students are studying in the USA and that should be the gateway for attracting these young professionals who are seeking vacations beyond the United States.